We have Speech Therapists at Progressive Home Health Care standing by. We hope to provide you with effective treatment services to restore or enhance communication skills. 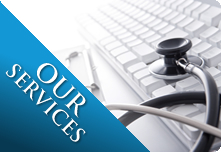 Most of our clients include patients who have trouble speaking or communicating. We also treat patients with cognitive or comprehension difficulties.